Designed for seafood lovers – Saltwater Fish Company, situated in Fenwick Foodhall, operates as both a Fish Bar and Fishmonger with a ‘we cook what we sell, we sell what we cook’ philosophy. 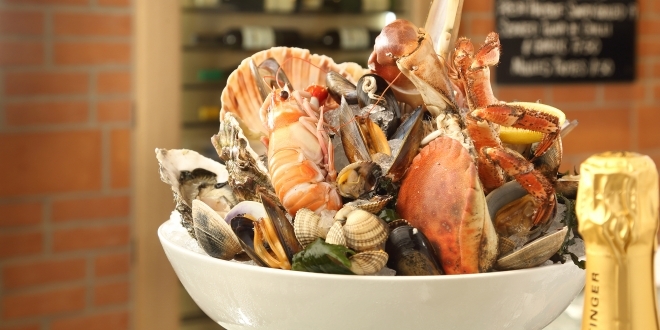 There’s no fuss – just a passion for seafood, simple yet creative cooking and friendly service. 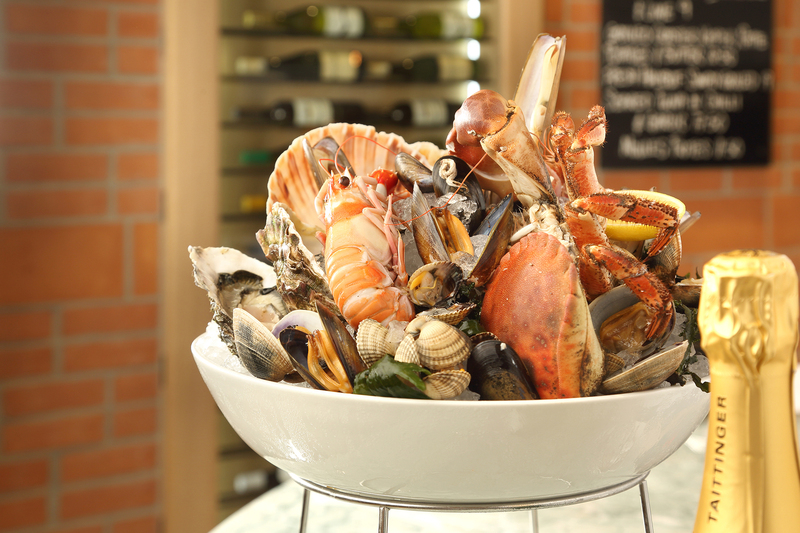 With counter seating for 19 people and an open kitchen our Fish Bar offers casual seafood dining – we’re talking oysters from different beds, small dishes to delight, large plates to satisfy, French-style Fruits de Mer Platters to share and a blackboard full of daily specials. Champagnes and wines, too, of course – all fish friendly. At our Fishmonger’s counter it’s all rather simple. We sell the finest selection of seasonal fish and shellfish whilst sharing tips and recipes and our well-stocked wet fish counter provides the raw materials for our regularly changing menus. The choice is yours – take a stool and let us cook for you or buy from our wet fish counter and cook for yourself at home. That’s the magic of Saltwater.